Warm welcome to Khushi's World. Today I am going to review Maybelline Pumped Up! Colossal Volum' Express Mascara. Mascara is an essential part of eyes makeup. It may darken, thicken or lengthen the eyelashes. Normally I am not a big Makeup fan but I love to apply Mascara occasionally as my Eye Lashes are thin & small. I always used the Maybelline New York The Colossal Volum' Express Mascara (Yellow Bottle) & I am pretty happy with that. But this time I thought that I should try something new. So, I bought 2 Mascaras. One is high end & the other one is a drug store product which is Maybelline Pumped Up! Colossal Volum' Express Mascara. This Mascara is very Eye catching as it's having pink color which is very girly. It makes my lashes thick & hold the curl all day long. Very fast drying, dark in color & doesn't smudge at all, which is good otherwise we may end up looking like a zombie. It is also very long lasting easily works from AM to PM. Overall, I'm pretty impressed with this. It says that its adds 16 times more volume, I don't agree fully with it but still it does an amazing job. It's better than the Yellow one (earlier one). This Mascara is having some drawbacks too. Below is my full review about this product. I have thin & small Lashes. I like to curl my eyelashes first before applying mascara, this will help you to give curly Eye Lashes. Now take the Mascara, pull the wand out of the tube & wipe any excess product against the opening of the container. Apply mascara at the base of your lashes & sweep up through the ends, wiggling the wand from side to side. This will coat the sides of the lashes too. One coat is enough but if you want glam look apply 2nd coat too. This will give tons of volume & length. 3. No flaking or smudging all day long. 4. Increase the Length of Lashes. 6. Cute Packaging. Very girly. 7. Good consistency, neither very watery nor very dry. 8. It dries very fast. While applying you have to be fast enough. 9. Does not make the Lashes heavy. 10. Separates & defines them well. 1. The main thing which I don't like about this product is that the Brush which is very wide. 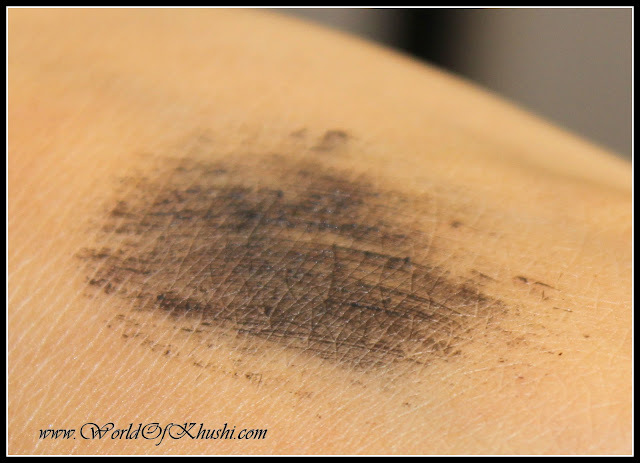 It makes it little difficult to use, especially on the outer & inner corners of the eyes. 2. Takes too much product, so you have to take extra care. 3. I don't like the smell as it feels that it contains lots of chemical. But the good thing is that it will not last long. 4. For removing this, you need pretty good Eye Makeup Remover, normal one doesn't work. I personally like Neutrogena Oil-Free Eye Makeup Remover. This will remove with in one time. Would I recommend it ? Yes, I like this product. The people who are having small lashes, I think you can try this. I don't have any problem to buy this product again. Maybelline's Mascara sets a very high expectations, this one is good but I can't say that it is the best one in the market. 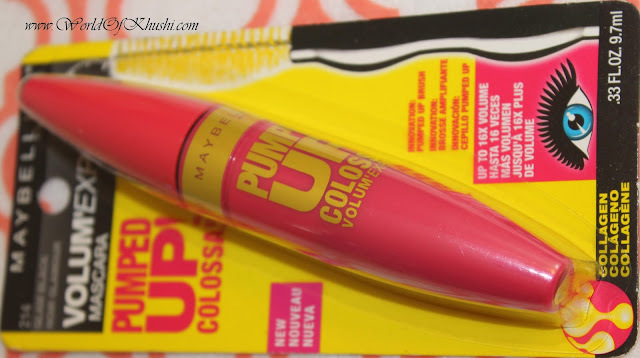 This is my Review for Maybelline Pumped Up! Colossal Volum' Express Mascara. Note :- This Review is not sponsored by anyone and its solely my personal opinion and experience. 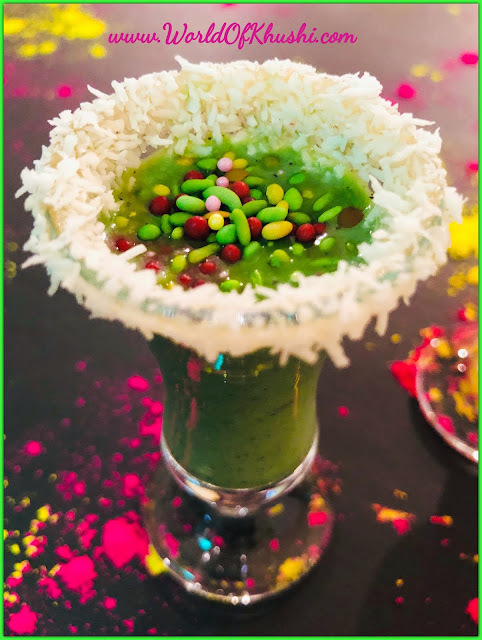 Also I am sharing below the links of the products which I used in the reviews.